BAppSc, BSc, BA, MLitSt (Math), MBA, PhD(QUT), PhD(UQ), FAIMS, FAACB, FACB, FAIM, Member Aust Maths Soc, FRCPA (Hon), FFSc(RCPA). He was Associate Professor, Faculty of Health Sciences and Medicine at Bond University for 4 years before becoming the CEO of the RCPAQAP in 2015. He is an Adjunct Professor School of Pharmacy and Pharmacology, Griffith University, Gold Coast, Honorary Associate Professor, National Centre for Epidemiology and Public Health Australian National University College of Health and Medicine, Honorary Associate Professor, Faculty of Medicine, Bond University, Gold Coast, and Visiting Fellow, Australian Institute for Health Innovation, Macquarie University. He was President of the Australasian Association of Clinical Biochemists (2003-2007), Chair of the Faculty of Science RCPA (2012-2018) and is Chair of the Education and Laboratory Management Committee of the Asian Pacific Federation of Clinical Biochemistry, and currently the Chief Examiner of the Faculty of Science of the Royal College of Pathologists of Australasia. 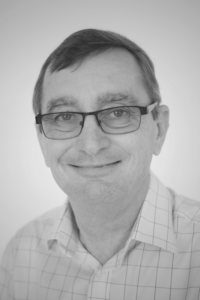 Tony has published over 150 peer reviewed articles mainly on the themes of Quality Control, Quality Management and Clinical Biochemistry. Abstract: Is it time to rethink the way we approach IQC and EQA? Sometimes other controls are unavailable or impractical. Patient results might detect an issue that other forms of QC cannot because of commutability issues. The state of the testing process can be assessed between the times of routine control-based QC, which may be run infrequently. These two processes, IQC and EQA, are often conducted independently, except when IQC results may be reviewed following a failed EQA report. However, looking at these two processes in this way loses much of the power of EQA, it can be more than just a regulatory exercise. The development of better techniques and middleware to allow the practical application of PBRTQC has led to a rethinking of conventional QC, and the relationship between IQC and EQA. In this presentation we will consider PBRTQC and how it could be used in conjunction with IQC or indeed instead of it. The information that can be gathered from some forms of EQA will also be described in terms of understanding of assay stability and capability. A model of integrating IQC/PBRTQC and EQA will also be described. “Verification of out-of-control situations detected by “average of normal” approach’. Jiakai Liu, Chin Hon Tan, Tze Ping Loh, Tony Badrick. Clin Biochem 49(16-17), 1248-1253; 2016. “Moving sum number of positive patient results as a quality control tool”. Tze Ping Loh, Jiakai Liu, Chin Hon Tan, Tony Badrick. CCLM 55(11); 1709-1714:2017.